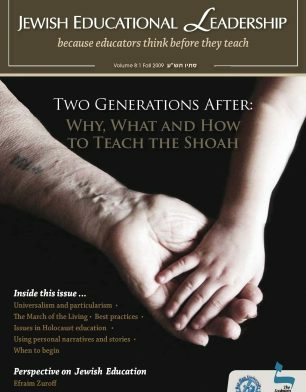 As educators, we have been entrusted with the sacred task of preserving and passing on the memory and legacy of the Shoah. The questions we face are not only practical, as in what are the most effective ways of doing that, but essential – what memory and what legacy will we pass on, and toward what ultimate goals. May we be successful. 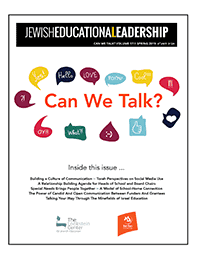 Please read more, in this important issue of JEL.